Bloomberg Summer at The Roundhouse returns for its fifth year this August with Curtain Call by architect and designer Ron Arad. It is a return performance of this piece after its original outing in 2011. This time around Arad will reinvent the curtain experience by inviting new collaborators to work with him on the 360° immersive installation, alongside returning artists from 2011. 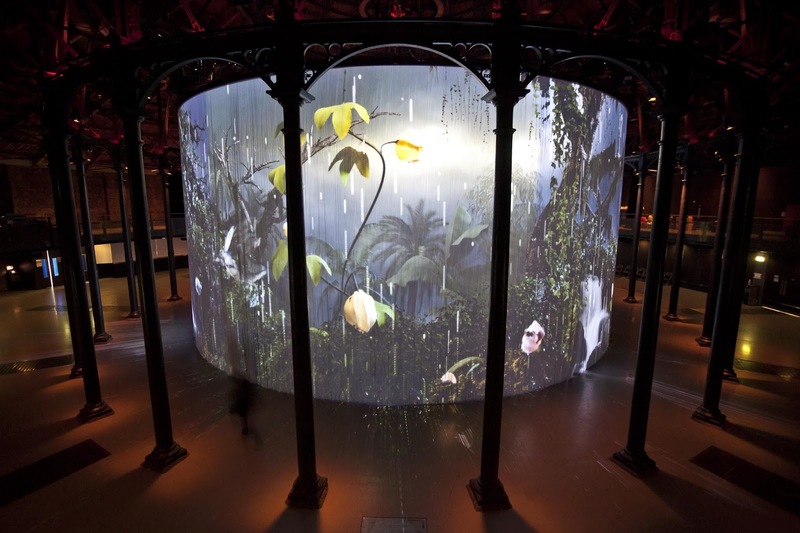 The work will be showcased at the Roundhouse from 6 – 29 August 2016. Curtain Call provides a canvas for films, live performances and audience interaction. Responding to the main space of the venue, the work is made up of 5,600 silicon rods suspended from an 18 metre diameter ring. This summer, Arad will again invite artists, musicians and friends to create unique works for the installation. New artists for 2016 include: Kutiman, Marshmallow Laser Feast and Universal Everything. Returning from 2011 will be: Babis Alexia’s; Mat Coleslaw; Ori Gersht; Greenaway & Greenaway; Gabriel & Shira Klasmer; Christian Marclay; Javier Marshal; SDNA and David Shirley.